this rings such truth for me. never mind that it’s over a month out. with random jars of experiments. where temps don’t go further than 40F. 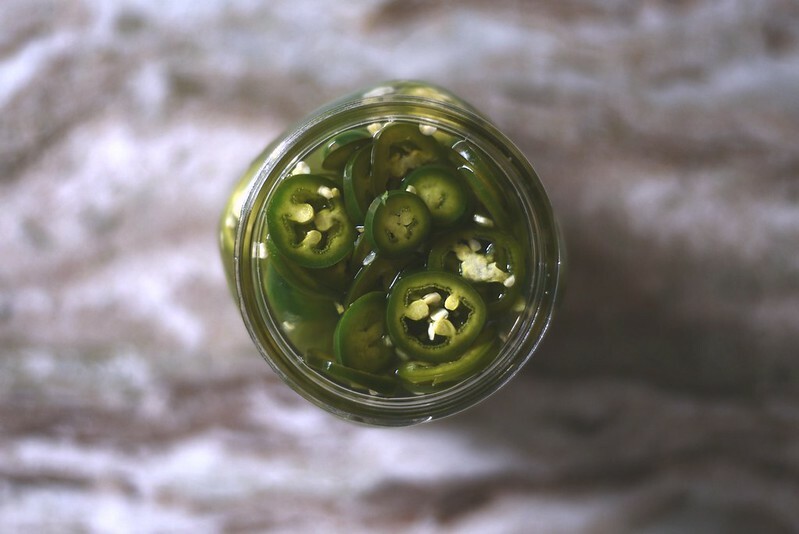 *note: the first time we made this we deseeded the jalapenos and followed the recipe exactly. it was delicious, but the 2nd time we made this i only deseeded half the peppers and i used a rice vinegar instead, because we ran out of the white stuff. still delicious. it has a spice kick to it but that doesn’t deter me from snacking on them. they would be great chopped up and added to tuna or chicken salads, or topped on hot dogs. 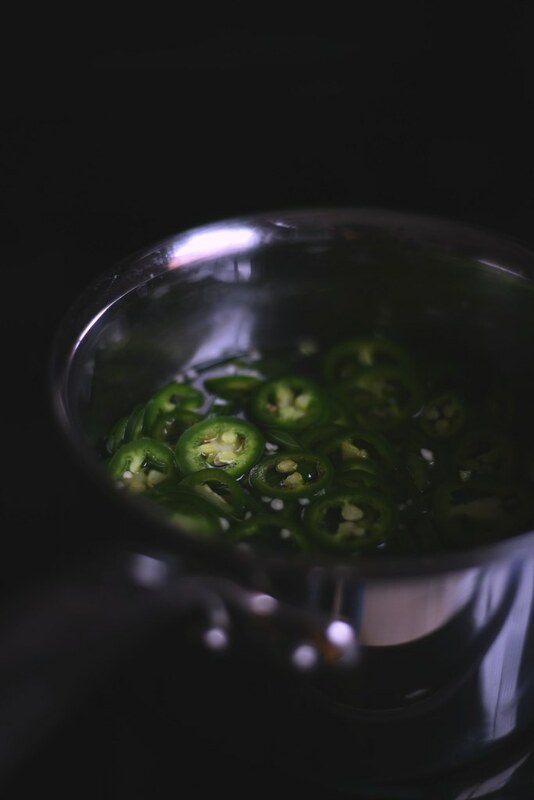 wash and slice jalapeno peppers, aim for thin, but it’s up to you. you wanna be careful, the spiciness can stay on your finger tips for awhile, so don’t rub your eyes or other parts of your body. deseed if you want. set aside. mix all the ingredients in a saucepan. 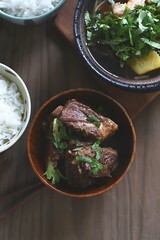 bring to a boil and add the slices. mix it up, make sure all the slices are sufficiently dunked. carefully transfer the contents of the saucepan to a mason jar. i used a quart jar. allow to cool before lidding. 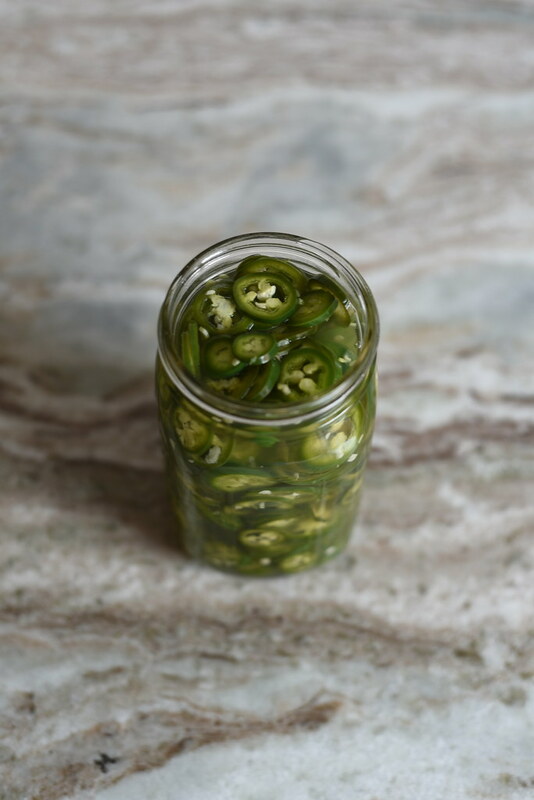 oh love pickled jalapenos, esp on tacos!